This 35mm. 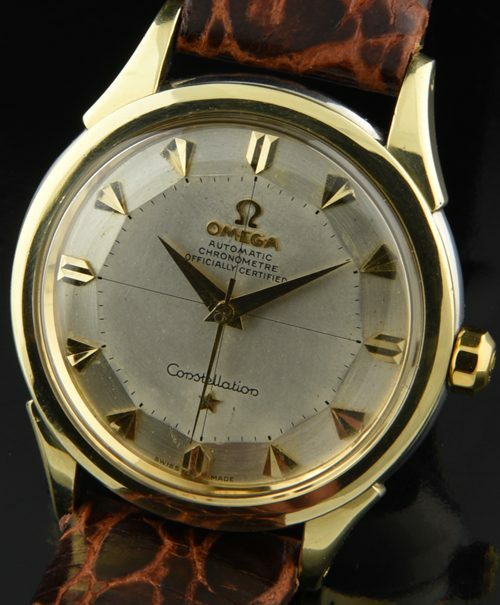 OMEGA CONSTELLATION DATES TO 1956 with 15.6 million serial #. The two-tone dial with raised gold kite markers and Dauphine hands is completely original and extremely fine. The 10 sided crown and OMEGA hesalite crystal are both correct as well. The original caliber 505 movement was just cleaned and is accurately keeping time. 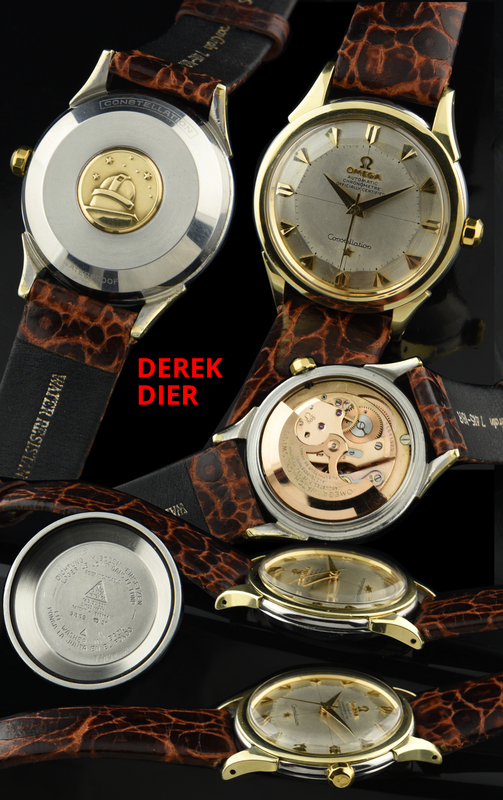 The gold capped and steel case displays excellent overall condition-no dings or wear, with clear and crisp solid gold observatory emblem on the case rear. This is a prime example of a 1950’s Constellation.